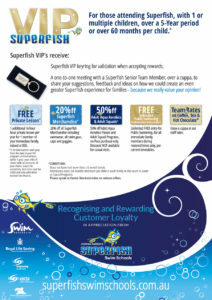 a VIP Keyring for validation when accepting rewards. a one-to-one meeting with a Superfish Senior Team Member, over a cuppa, to share your suggestions, feedback and ideas on how we could create an even greater Superfish experience for families – because we really value your opinion. 1 additional ½ hour hour private lesson per year for 1 member of your immediate family, valued at $55*. 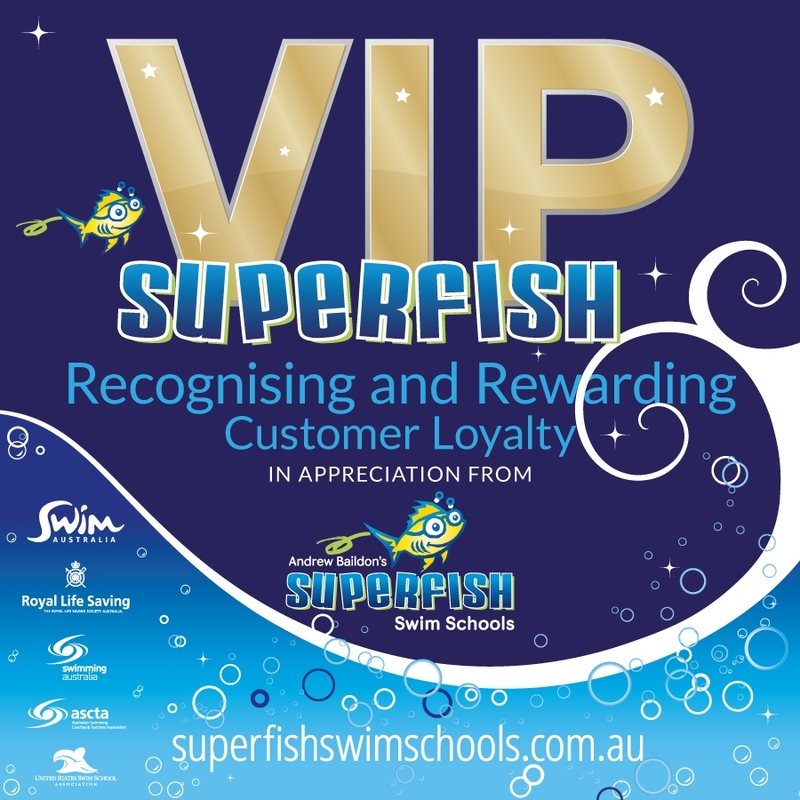 20% off all Superfish Merchandise including swimwear, all swim gear, caps and goggles*. 50% off Adult Aqua Aerobics Passes and Adult Squad Programs, on Pass purchase only. Discount NOT available for casual visits*. Unlimited FREE entry for Public Swimming, for all immediate family members during rostered times only, per current timetables*. Team Rates on Coffee, Tea and Hot Chocolate. Conditions Apply – See Centre Admin for Details.